"The report has been difficult to write because it involves something that doesn't officially exist. It is well known that ever since the first flying saucer was reported in June 1947 the Air Force has officially said that there is no proof that such a thing as an interplanetary spaceship exists. But what is not well known is that this conclusion is far from being unanimous among the military and their scientific advisers because of the one word, "&apos;proof'; so the UFO investigations continue." 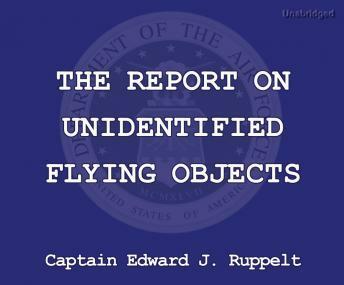 -Captain Edward J. Ruppelt, Former Head of the Air Force Project Blue Book, July 1955.